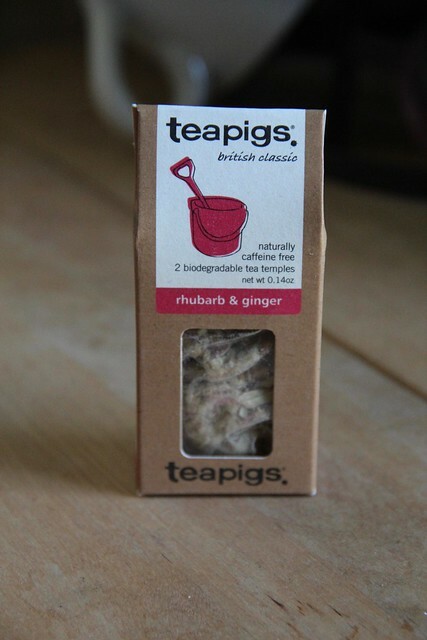 I’ve been on a ginger kick lately, so when I decided to place an order with Teapigs I added one of their Rhubarb Ginger samples to my cart. From the label, the decaffeinated herbal blend contains 50% rhubarb and 50% ginger. 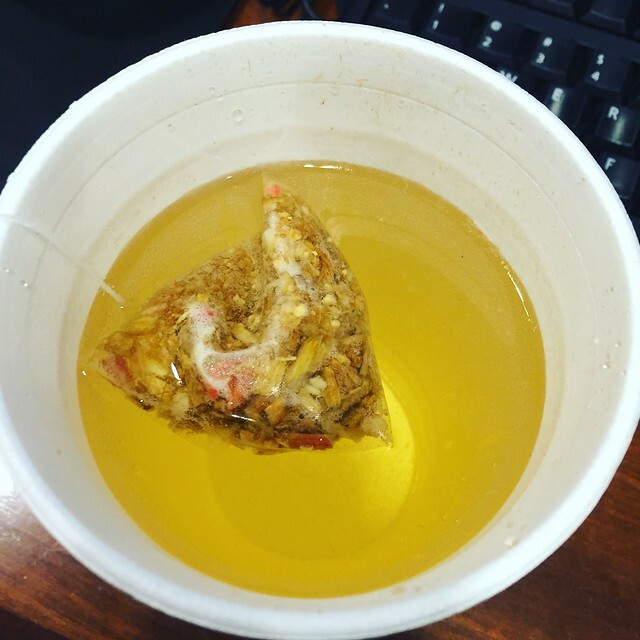 I purchased the sample size of 2 teabags for $2.50. There is also a package that contains 15 tea bags for $9.99. When I opened the package I was overwhelmed by the tangy ginger smell. Again this was a savory sweet. I added a bit of sugar and got the tangy sweet rhubarb taste along with the tangy ginger. It was a nice combination, and a pleasant afternoon drink, especially if you’re looking for something herbal and decaffeinated. I should also say that I do appreciate the simplicity in these teas – with only a few ingredients I really know what I’m getting. Previous Artea: A teacup, step by step. Next The Corner of Knit & Tea: Episode 84, The floating bacchanal.